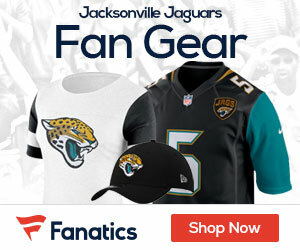 « Jaguars Ready to Dump WR’s This Offseason? While it’s been a long and tough season for the Jaguars, Sunday at home they finally gave the fans something to be happy about as they topped the equally as struggling Green Bay Packers 20-16. David Garrard finally played somewhat of a good game for the Jags, going 21-for-33 for 238 yards with two TD’s and a QB rating of 105.4. Maurice Jones-Drew scored twice for the Jags, and Garrard threw two scores. The game came down to a key fourth quarter drive for the Jags, as trailing 16-14 they went on a drive with a key 41-yard play from Garrard to Dennis Northcutt, and then a Garrard 16-yard scramble that set up Jones-Drew two-yard run that in the end was the difference. The Jags had been the only NFL team without a pass play of at least 40 yards this season. The Pack had a shot at the end, but the Jags came up with a big play as Reggie Nelson picked off Aaron Rodgers, sealing the victory and sending Green Bay to 5-9, their 4th straight loss, and their 6th loss in their last seven games. Rodgers finished 20-of-32 passing for 278 yards and a touchdown. James Jones caught four passes for 132 yards. Ryan Grant ran for 56 yards. For the Jags, they were finally able to put a good game together, winning for the first time since November 9th at Detroit to improve to 5-9 on the season. They had also lost four straight entering the game on Sunday, and had lost six of their last seven entering the game. The Packers had their chances, as they scored on their first three possessions, driving 79, 59 and 75 yards and taking a 13-7 lead into the locker room. They could have had a bigger advantage, but had to settle for two short field goals. Just another long day for the cheeseheads as the team could not take advantage of a decent day of offense and didn’t do much to generate any big plays on defense. The Jaguars will be at home this Thursday to host the red-hot Colts at 8:15pm.